Human civilization has caught up with a good chunk of science fiction. We drive around in electric cars, send spaceships beyond our solar system, and use silicon and electricity to help us get laid. Things that seemed like some distant fantasy less than 20 years ago (like, say, reading this article on your phone like some kind of wizards), are now accepted—and easily ignored—parts of our reality. Professor Brian Cox is one of a few doing a good job of pointing all this out to us. A physicist by trade, Cox has become something of a science celebrity in the UK for hosting a number of the BBC’s science shows. His new BBC series, Human Universe, sets out to make us understand our place in the universe—why we’re here, what we’ve achieved, and how we can use those achievements to better ourselves. Those are the things I wanted to speak to him about, so I got in touch and did exactly that. VICE: One of the episodes of your new show is called “Why Are We Here?” What’s the quick answer to that? Brian Cox: There’s a theory called “eternal inflation,” which is now being taught in universities. It says that we might live in just one universe in an infinite collection of other universes, called a multiverse, in which every possible combination of the laws of nature occurs somewhere in its own separate universe. So everything that can happen, happens. It is then inevitable that our universe exists as well. Why are we here? Because we have to be. That still feels mostly an explanation of how we got here—I was hoping more for your opinion on why it is that we’re here. The point is: There almost certainly is no purpose. There is no final cause. That’s called teleology and it’s outside the realm of scientific research. [Laughs]Well, I did have a more lethargic way of presenting things back then. Wonders of the Solar System is from almost six years ago. We wanted to do it differently this time. Have you ever taken psychedelics and watched your own show? The answer is no. It’s hard to do science when you’re not absolutely in possession of all your faculties. There’s a famous saying about having an open mind: Sometimes it’s so open that everything falls out. What are your thoughts on conspiracy theories—that the moon landing was faked, for example? If you’re idiotic enough to think that we didn’t land on the moon, then you’re idiotic enough to mess up crossing the road. So there’s a Darwinian element there. But it does become a problem if these conspiracy theories then start distrusting science in general—vaccination policy, nutrition, or climate change. These are serious issues that deserve serious treatment. Well, take Ebola. There won’t be many anti-vaxxers around if there’s an outbreak of Ebola in London and there’s a vaccine available. Not many people are then going to say, “Oh no, we’re going to stay organic.” If you’re going to wipe out a viral disease, then it’s vaccination that does it. The best example is smallpox. In the 20th century, it killed as many as 500 million people, until 1979 when a vaccination program ended it—and now smallpox doesn’t exist anymore. It’s done, gone. So it’s about education. Don’t sit there in your house saying, “Oh, little Johnny doesn’t need vaccinations.” Just look at smallpox. There are still skeptics who regard scientists as condescending. Arrogant, at worst, “just another view,” at best. Science is not a priesthood passing down wisdom. It is the only human pursuit that succeeds because it is uncertain. It is uncertain of itself. It challenges itself. There are no universal truths in science. That’s the key to its success. It’s a framework of how we currently think the world works. It is a way—as best as we can—of interrogating nature to try and understand it. And just look at what it has discovered so far. David Attenborough anointed you as his natural successor, and you’re often compared to Carl Sagan. What’s your personal purpose? It’s wonderful to make people enjoy science, and maybe encourage them to support scientific research a little bit more. I think it’s terrific, but I’m very lucky. Carl Sagan got a terrible time from his fellow scientists when he tried to get his message out there, but it seems to be easier and easier to be in the the public realm for us now. Science is now part of popular culture, and it has to be. Because otherwise, what are you left with? Football and The X-Factor? We don’t want popular culture to be dominated by that. We want it to be dominated by ideas. And that’s what I’m trying to do. I like science documentaries that make a point, like Carl Sagan’s Cosmos and James Burke’s Connections—they created discussion. We should have more shows that have balls, you know? You have to make clear that your interpretation of the facts is up for debate, but mostly, documentaries are obsessed with being delicate. Does your show have balls? It says: This is what I think. What do you think? 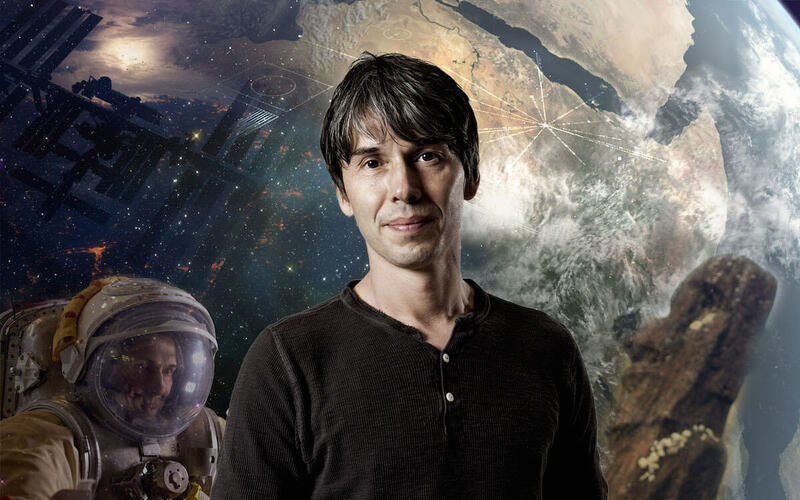 Human Universe airs every Tuesday on BBC Two at 9 PM, if you’re in the UK. Professor Cox also still works and lectures at the University of Manchester. His latest publication is “Manifest causality and quantum field theory with sources and detectors,” which is probably only for the more diehard fans.